A lecture by Prof. Salim Yusuf, from McMaster University, Canada, delivered at McMaster International Review Course in Internal Medicine in Kraków in May 2016. A lecture by Prof. Mark Loeb, from McMaster University, Canada, delivered at McMaster International Review Course in Internal Medicine in Kraków in May 2016. A lecture by Prof. Nicholas Pavlidis, from University of Ioannina, Greece, delivered at McMaster International Review Course in Internal Medicine in Kraków in May 2016. Prof. Akbar Panju, MIRCIM co-chair, Professor of Medicine and Division Director of General Internal Medicine at McMaster University, talks about the development of MIRCIM in Kraków as an international version of the hugely successful McMaster University Review Course in Internal Medicine in Hamilton, Canada. 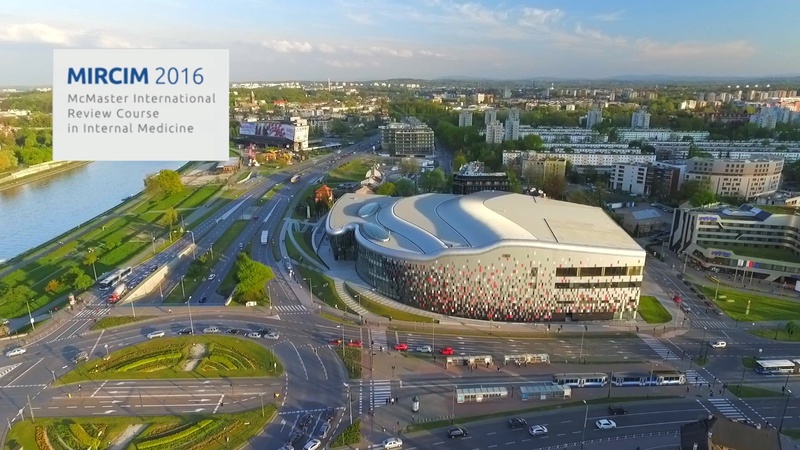 Take a look back at the sights and sounds of MIRCIM 2016. The course took place in Kraków, Poland, on May 6 and 7. It was attended by over 500 participants who came from 29 countries. Our lecturers delivered 33 presentations. In the overall satisfaction survey, MIRCIM 2016 received 4.6 out of 5 points. See for yourself how it went! McMaster Textbook of Internal Medicine is the first Canadian textbook developed at McMaster University, the birthplace of problem-based learning (PBL) and evidence-based medicine (EBM) and one of the leading medical schools in the world. Practical, affordable and convenient, it provides verified medical knowledge useful in everyday practice.